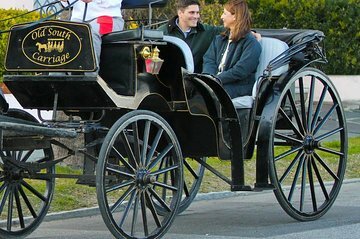 Put a romantic twist on Charleston sightseeing with this private horse and carriage tour of the historic district. Trot through a 15-block area of cobbled streets, passing lovely homes, historic monuments, and more, all while your licensed guide shares stories about Charleston’s fascinating history. Because this tour is just for you and your party of up to four people, you have plenty of opportunities to ask questions.